The World Health Organization recommends waiting until infants are at least 6 months of age before introducing regular food. HealthyChildren.org also adds that even once regular food is introduced breastmilk or formula should remain your child’s primary source of nutrition until at least 12 months. However; a study published this month in the Journal of the Academy of Nutrition and Dietetics concluded nearly half of American parents don’t seem to take those recommendations into consideration. Studies suggest that 20% to 40% OF us infants are introduced to foods at younger than 4 months. Researchers conducted a cross-sectional analysis of 2009-2014 National Health and Nutrition Examination Survey data to reach a nationally representative estimate of the timing of introduction of complementary foods. The study included 1,482 children aged 6 to 36 months. The study found that from the sample, 16.3% of US infants were introduced to complementary foods at less than 4 months, 38.3% between 4 and less than 6 months, 32.5% between 6 and less than 7 months, and 12.9% at roughly 7 months of age. Researchers noted in unadjusted analyses, early introduction varied by breastfeeding status; race/Hispanic origin; Special Supplemental Nutrition Program for Woman, Infants, and Children participation’ and maternal age. In adjusted analyses, only breastfeeding status remained significant; infants who never breastfed or stopped at less than 4 months were more likely to be introduced to complementary foods earlier than infants who breastfed at least until 4 months of age. 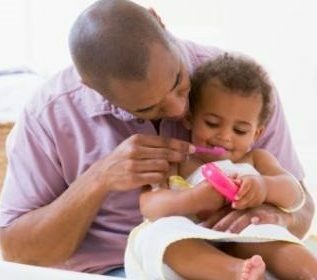 Researchers concluded that despite using a broader definition of complementary foods they found a lower prevalence of early introduction in this nationally representative sample that previous studies that included only solids. However; they note many young children were still introduced to complementary foods earlier than recommended. They encouraged an increase in strategies to support care gives to adhere to infant feeding guidelines.